Timor Leste is the world’s first nation of the 21st century. It was a priority for Irish aid when the Celtic Tiger was roaring in 2003 but Ireland closed its aid office in Dili last October. 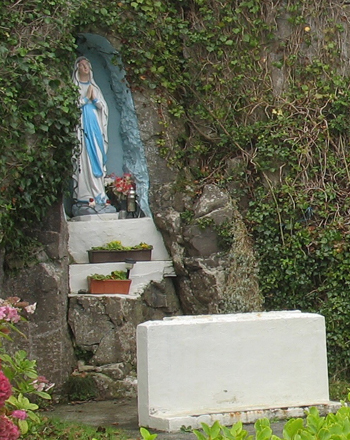 A roadside shrine on the Aran Islands. 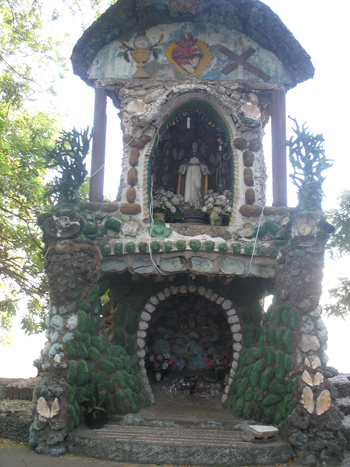 A roadside shrine near our home in Dili. One parallel is joblessness and the export of young people. Unemployment here is officially 20 percent but some claim it’s more like 50 percent. 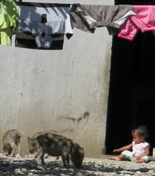 Down the road from our Dili home, we got chatting to a 27-year-old Timorese man who can’t find work. Through a cousin, he’s lined up a job in Belfast, possibly working in a chicken factory. Another parallel is Catholicism, the legacy of 450 years of Portuguese rule before the Indonesians invaded. It’s a different variety than the Irish Catholicism that I grew up with, although the roadside shrines and religious icons in homes remind me of what I saw in Ireland. And let’s not forget that the Tetun word for potato is ‘fehuk’. Surely an Irish link there. I might write more on these matters later. For the time being, however, I’ll park O’Kiwi while we concentrate on our new life in Timor. Of course, if you have anything to contribute, please do so. 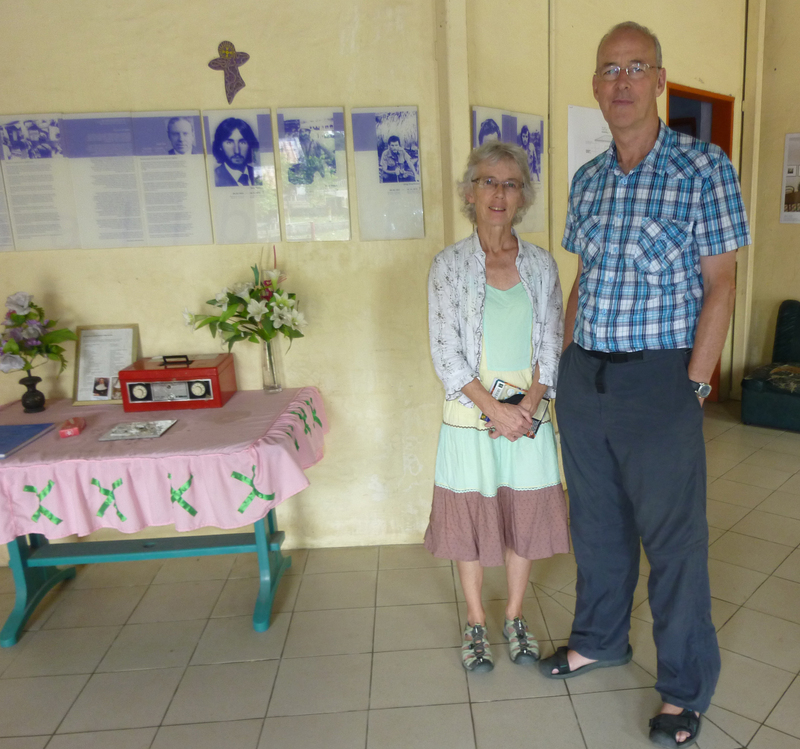 And if you’re interested in two Kiwis in Timor, you’re more than welcome to follow our blog, Dili dally. This entry was posted on Sunday, June 2nd, 2013 at 9:31 pm and is filed under News. You can follow any responses to this entry through the RSS 2.0 feed. You can leave a response, or trackback from your own site. Lonely Planet notes that “the One More Bar has a fine second-storey position on the Dili waterfront, behind the Virgin Mary statue.” Does that count as an Irish bar? I spent an hour at One More Bar last week and it had the quality of a religious experience, so, yes.